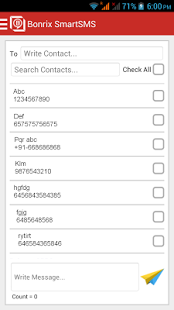 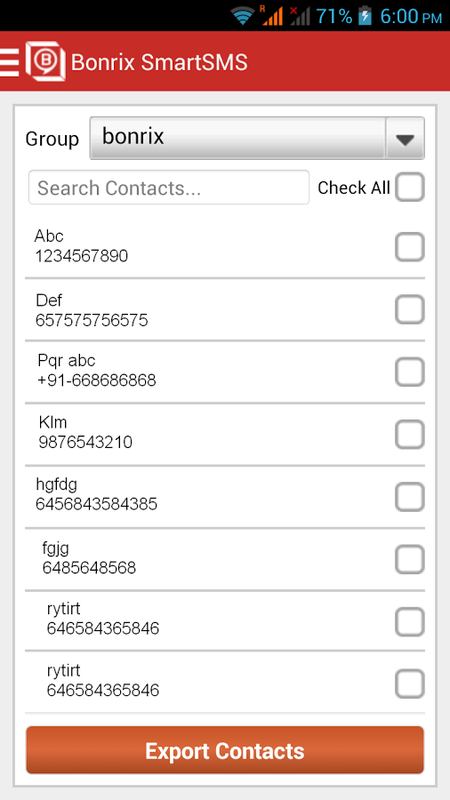 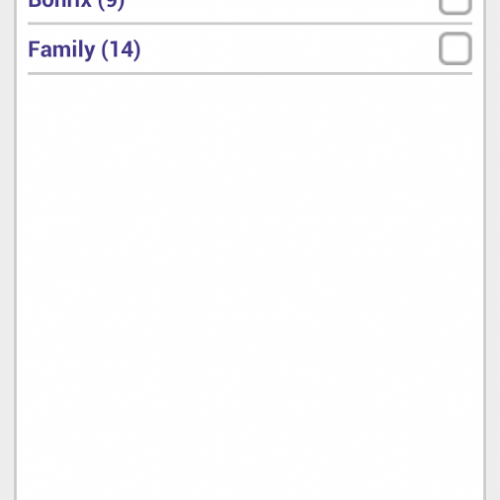 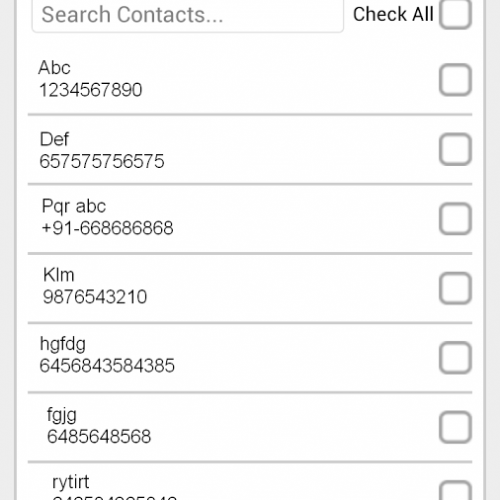 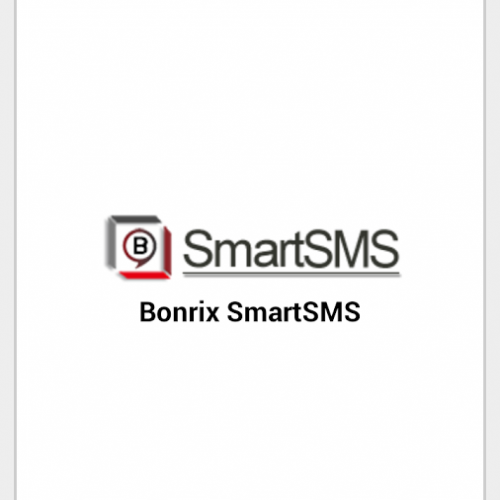 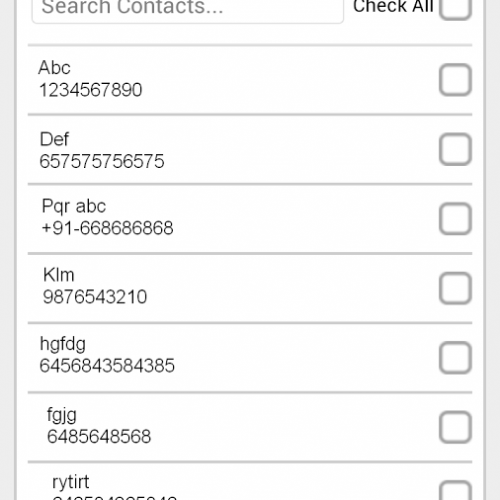 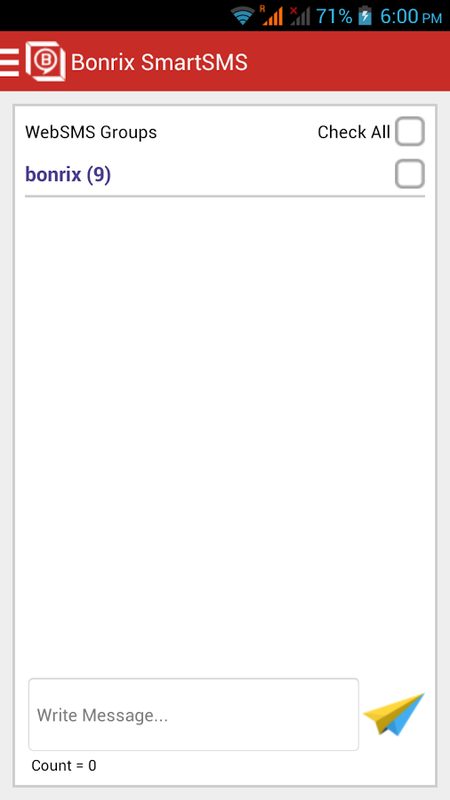 This Android App “Bonrix SmartSMS” is designed for sending group sms /Bulk sms directly from Android handset using immediate contact saved in your phone book. 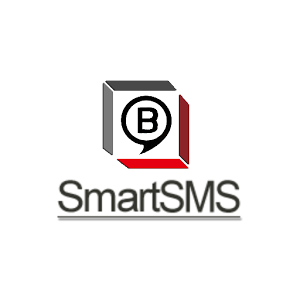 This App is associated with Web based BULK SMS platform http://SmartSMS.HighSpeedSMS.com for sending all type group SMS either Transactional or Promotional SMS. 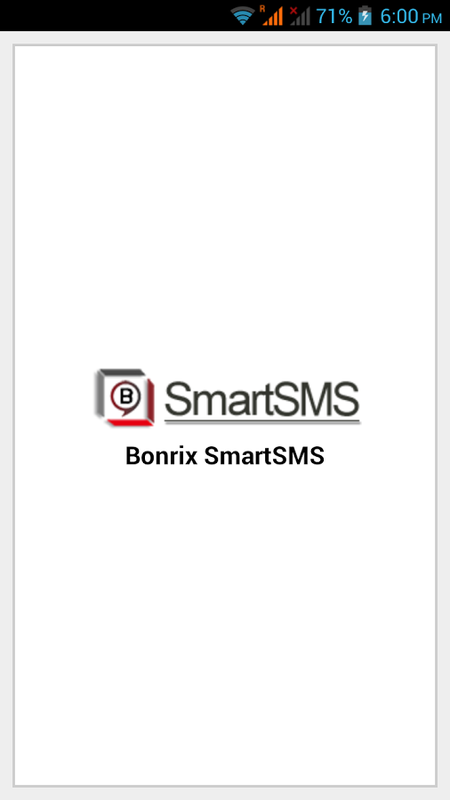 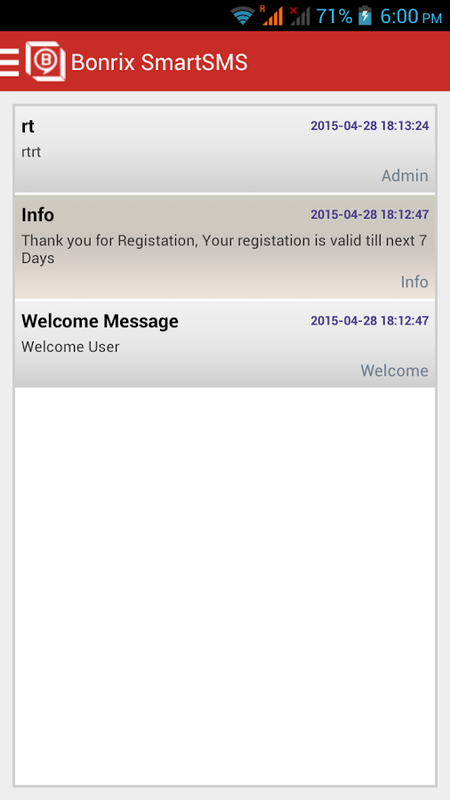 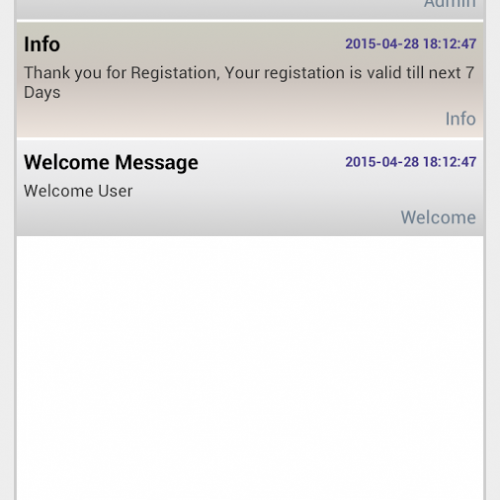 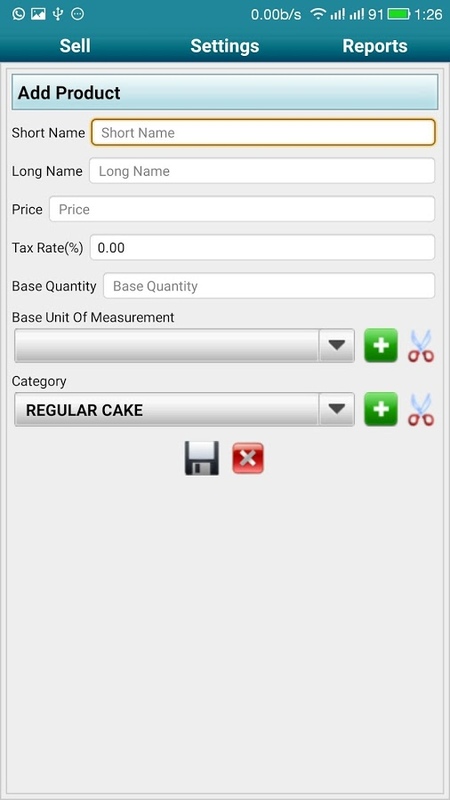 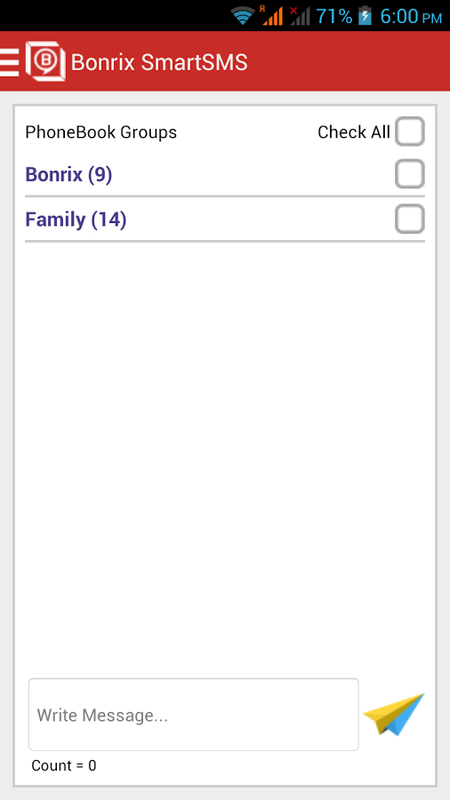 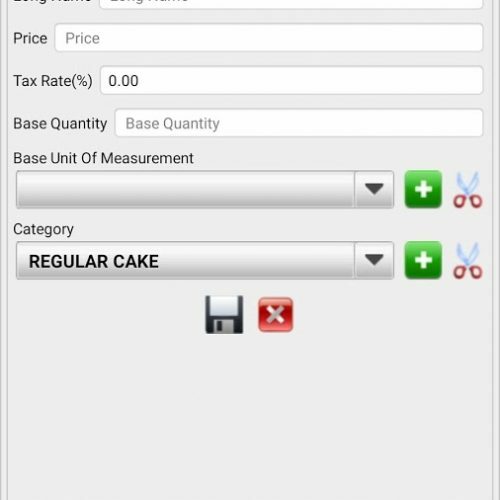 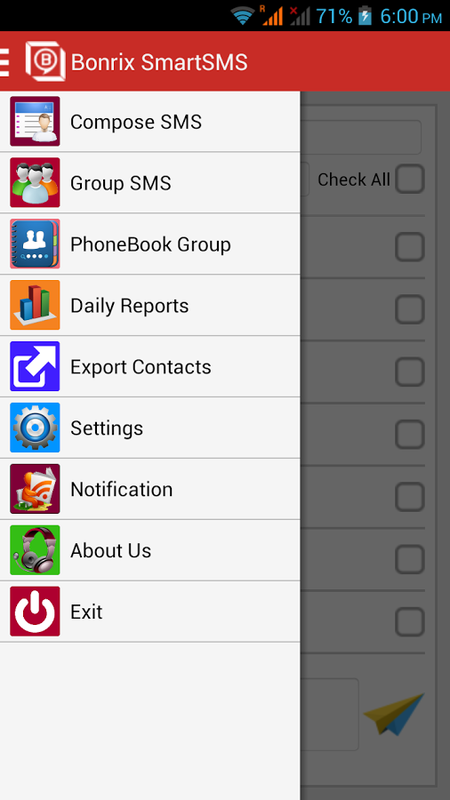 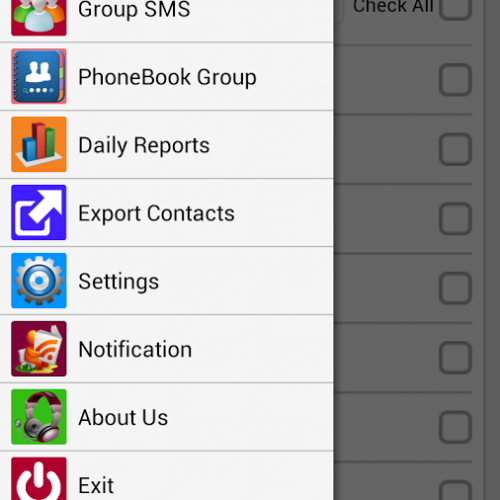 This Android App “Bonrix SmartSMS” is designed for sending group sms /Bulk sms directly from Android handset using immediate contact saved in your phone book.This App is associated with Web based BULK SMS platform http://SmartSMS.HighSpeedSMS.com for sending all type group SMS either Transactional or Promotional SMS. 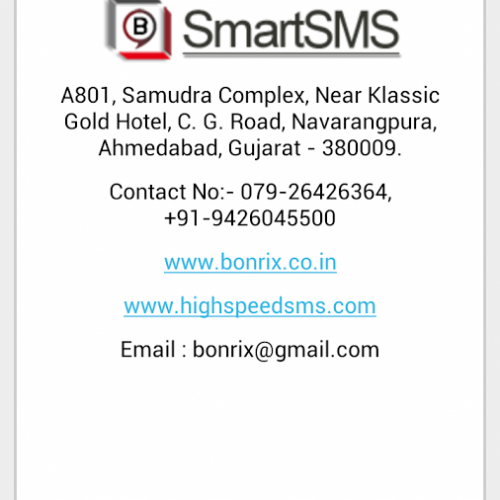 Promotional SMS: used for marketing purpose and these sms will be only delivered to Non DND number. 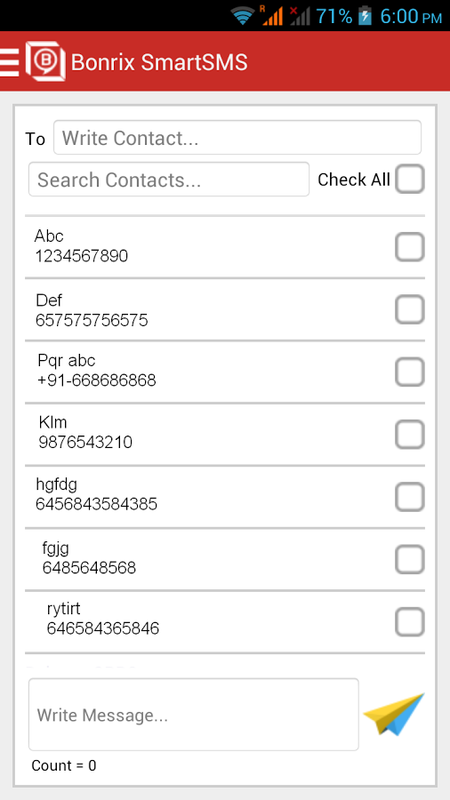 DND number register in as per as TRAI website www.nccptrai.gov.in/ will be filtered out before sending. 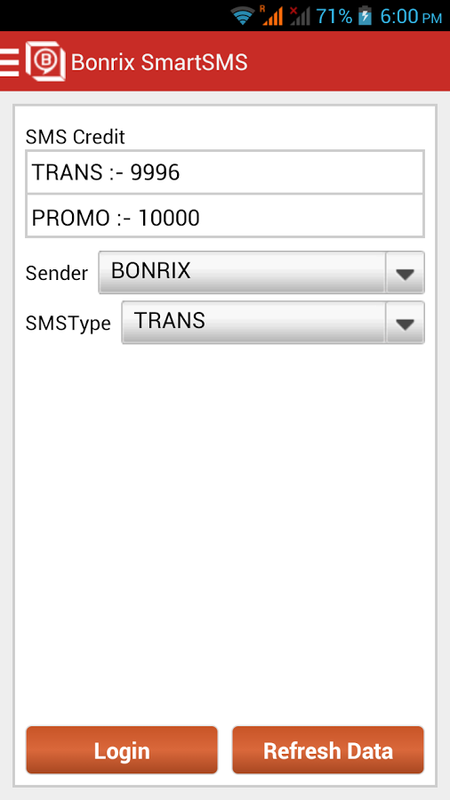 Transactional SMS: used for notification and instant alert to registered member, subscriber, Clients and immediate known contact. 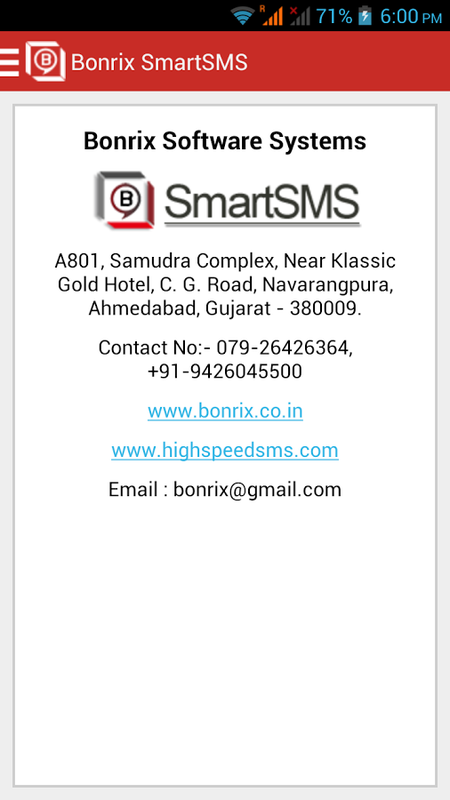 These sms will be delivered to both DND and NON DND number. 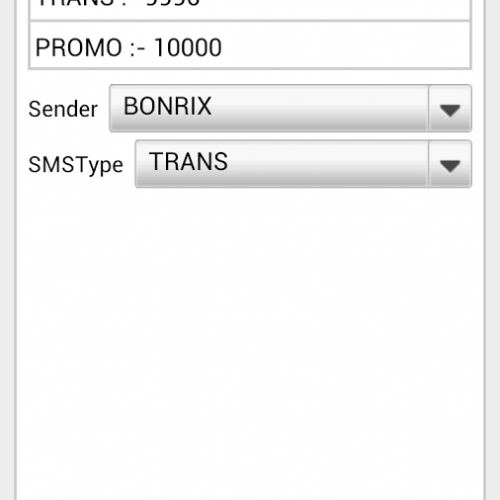 Transaction SMS package required special approval, which is available after submitting necessary authority letter.